How about some cute shorts for summer!! 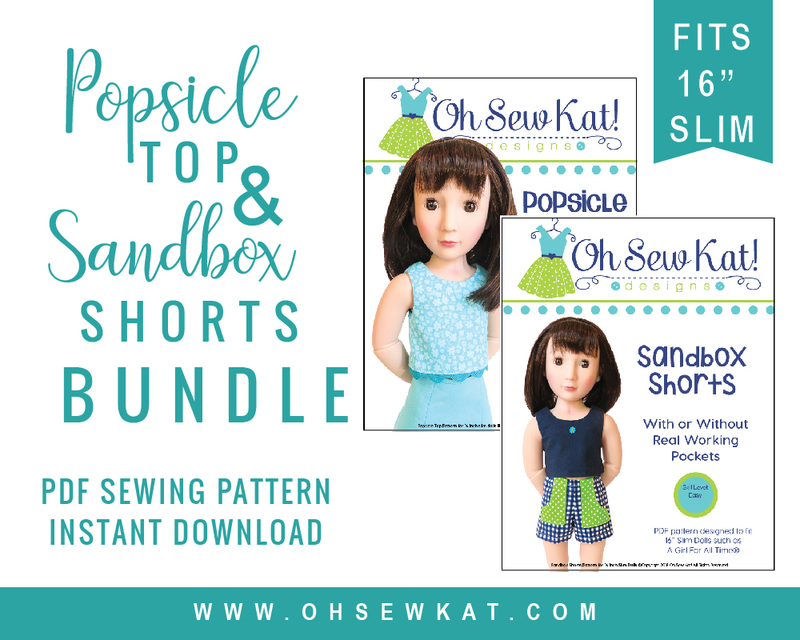 The Sandbox Shorts pattern from Oh Sew Kat! 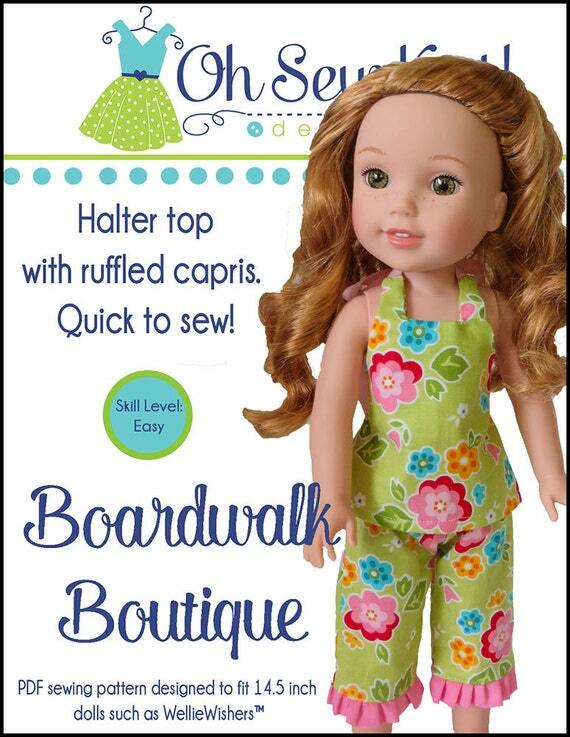 has lots of options to keep your dolls cute and casual through the summer months. 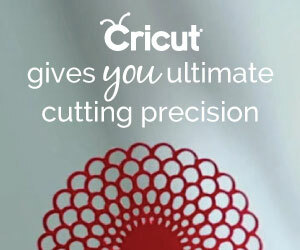 Download the file and print the pattern pieces on your home printer. 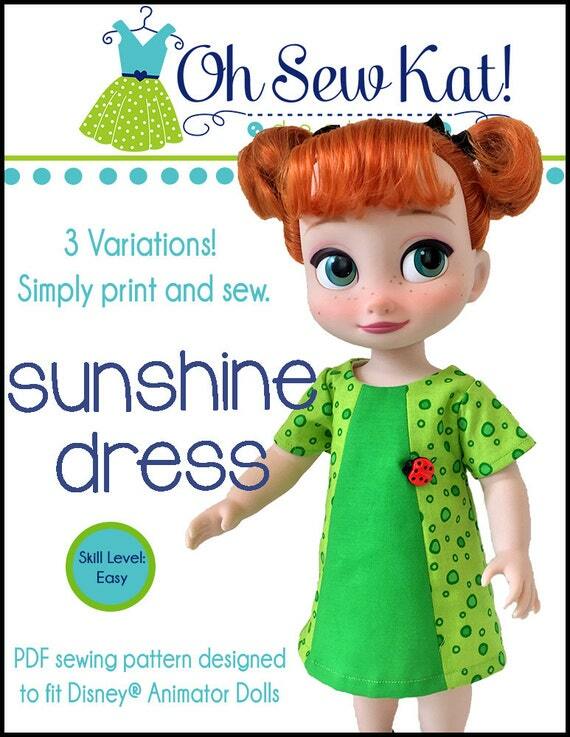 You’ll be ready to sew today!! This quick pattern stitches up in 90 min to two hours. Have fun!! Use THIS TUTORIAL to move the pockets to the inside! 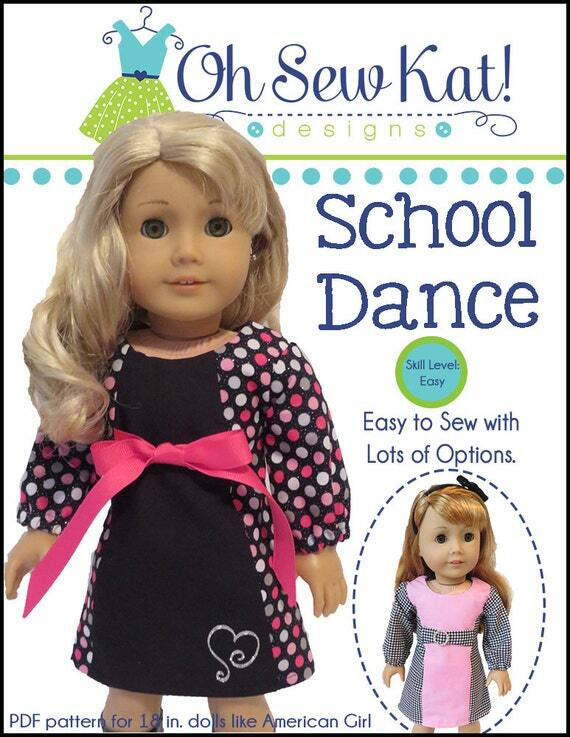 Also available here for Wellie Wishers dolls! 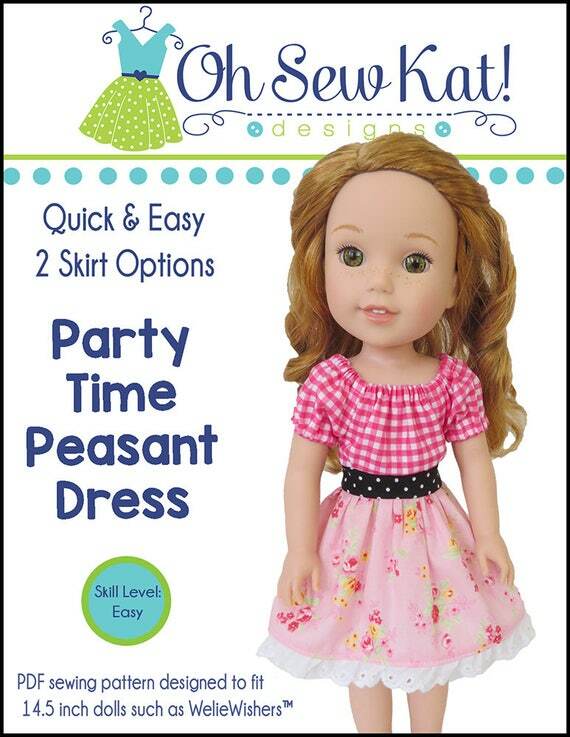 Princess dolls need cool clothing too! Click HERE for the Animator sized pattern. Don’t forget the Bitty Baby and Bitty Twins! Find their sized pattern HERE. Who will you sew a cute pair of shorts for? Find these patterns and many more at http://www.etsy.com/shop/ohsewkat. See more Sandbox Shorts in the Inspiration Gallery. Just released! The Sandbox Shorts pattern is now available for the Bitties too. Stitch them up for your Bitty Baby, Bitty Twin Boy, and Bitty Twin Girl. 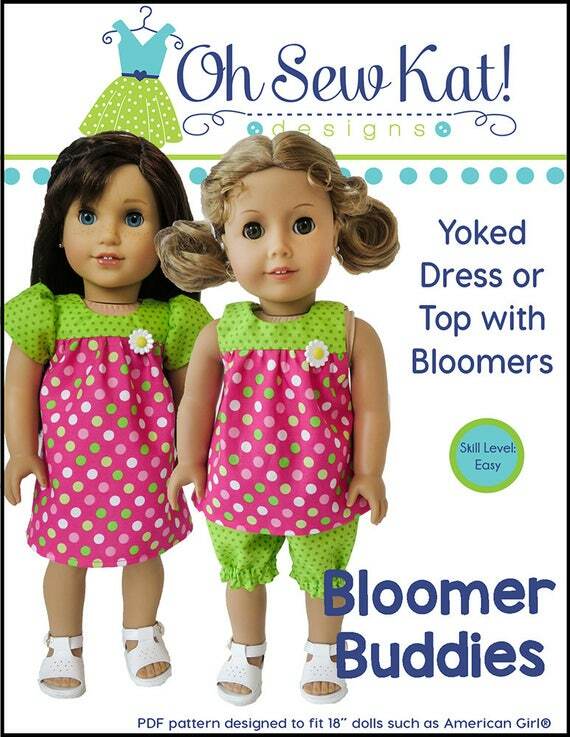 Make them with cute, working pockets! 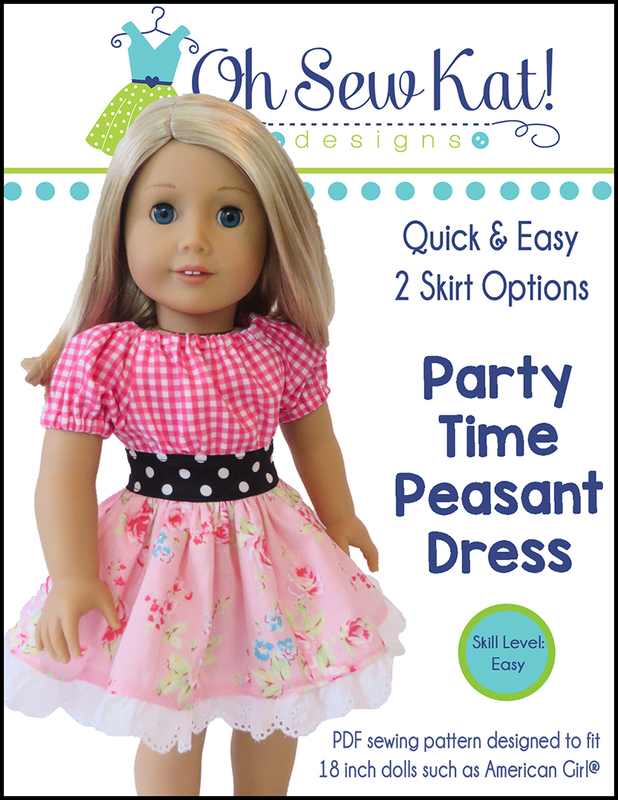 Download and sew it today! Find it on Etsy and Pixie Faire. 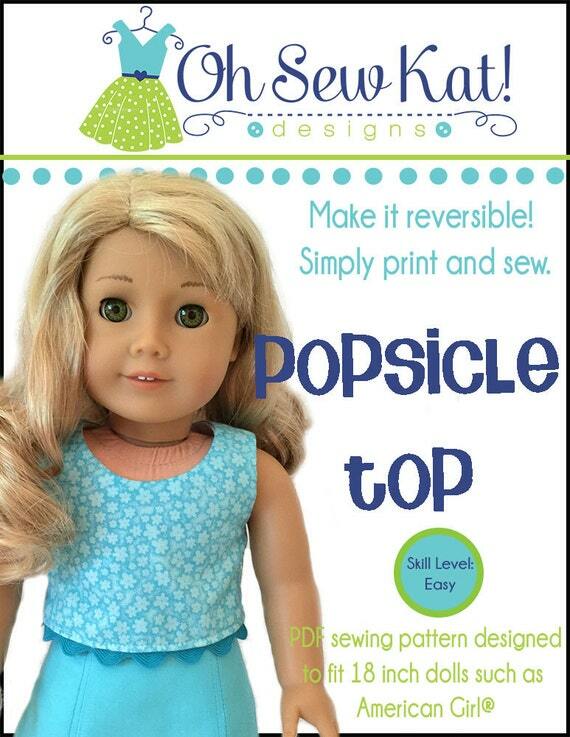 Pictured with the Popsicle Top pattern, also available. Find the Sandbox Shorts pattern for 18 inch dolls, Wellie Wishers, and Disney Animators in my Etsy Shop. I know summer is fading (faded?) away, but I can’t help but share these adorable photos!! 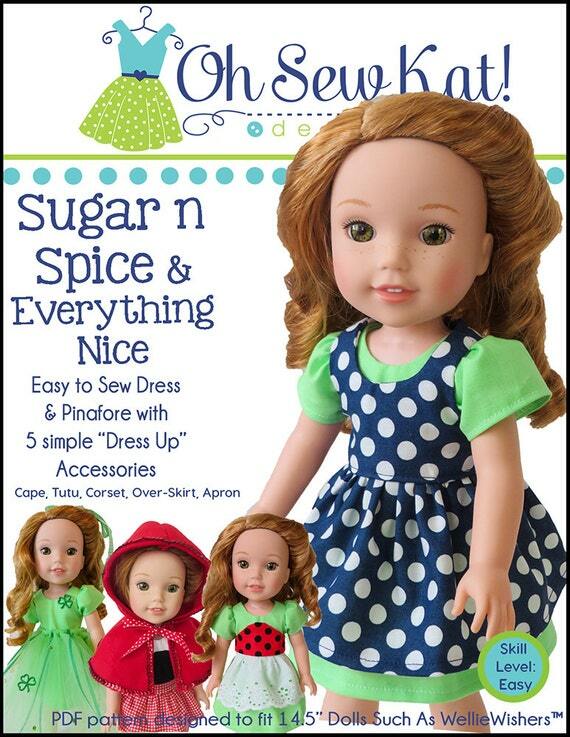 Pam Ray, of Amy Violet’s, stitched up these adorable outfits for her WellieWishers dolls. She used the Sandbox Shorts and Popsicle Top patterns. These girls look like they are having too much fun!! Pam used the Step it Up! tutorial to add the lace and buttons to the Popiscle Tops. Find the instructions on my TUTORIALS page. 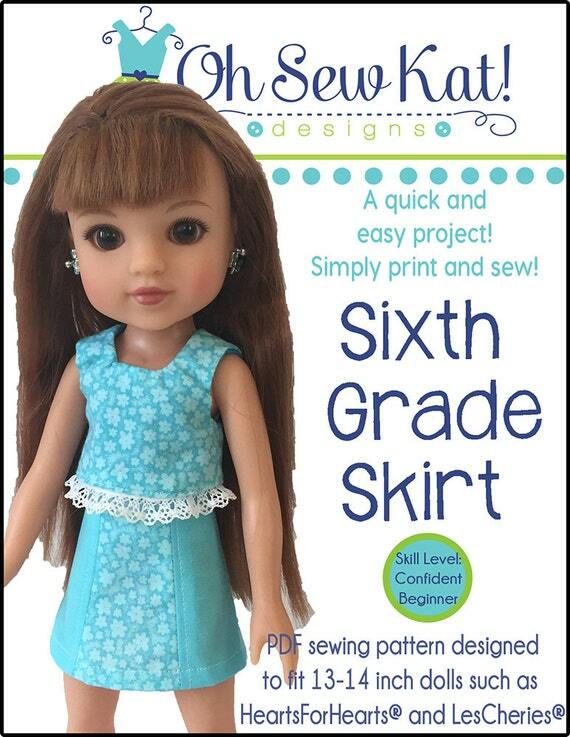 You can use tiny, 1/8 inch buttons to completely change the look of your doll clothes. 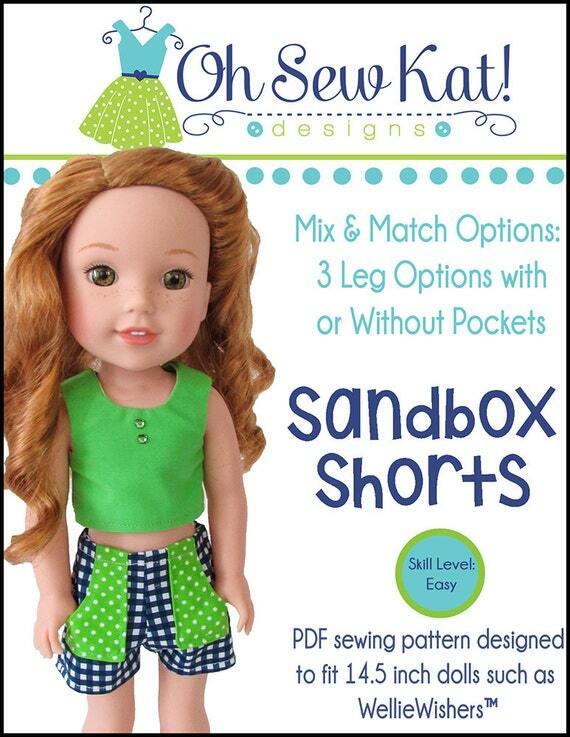 Find the Sandbox Shorts Sewing Pattern for 14.5″ Dolls here. 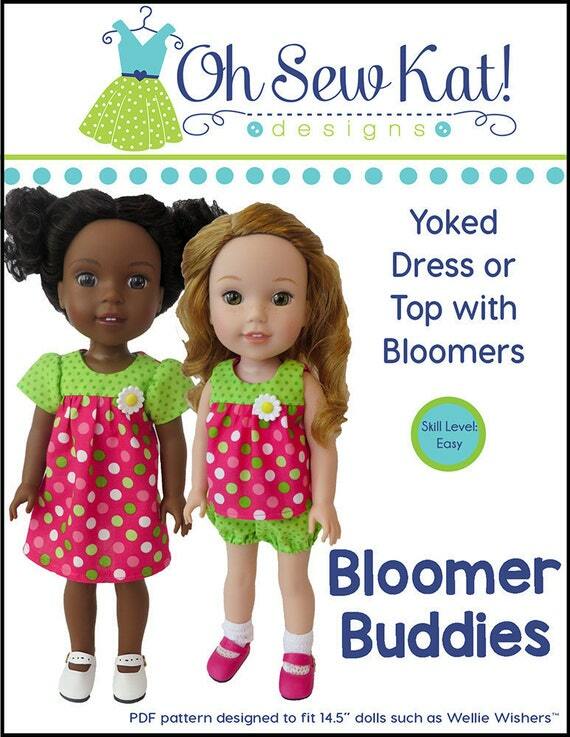 Make a cute, summer outfit for Wellie Wishers dolls with these easy to sew, printable patterns. 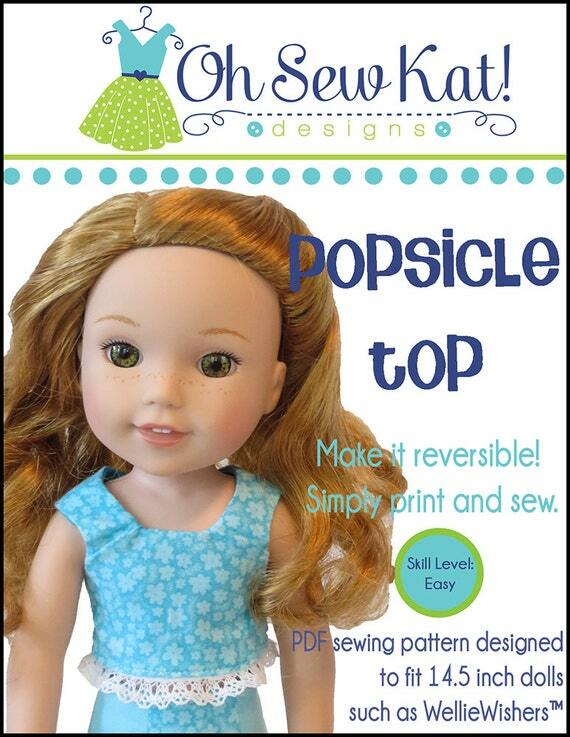 Find the Popsicle Top sewing pattern for 14.5″ dolls here. Check out AmyViolet’s on Facebook and Etsy! 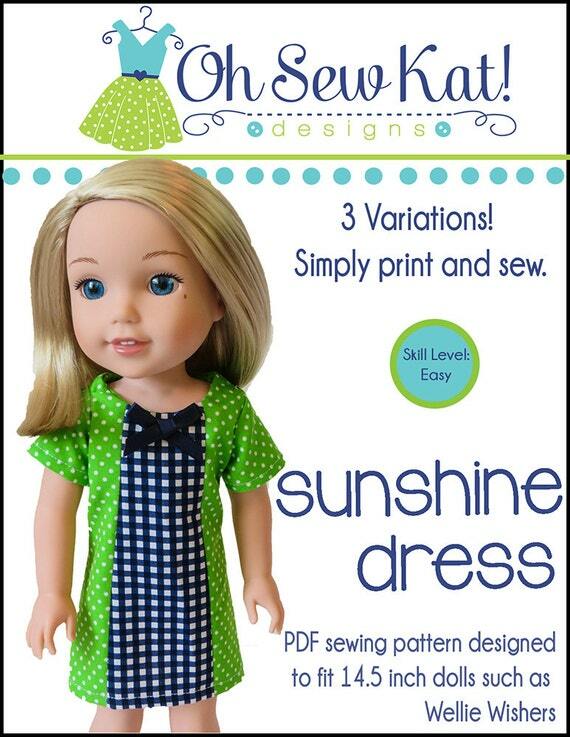 The Philospher’s Wife is hosting a fun doll event…Rachel has reviewed a few patterns and is hosting a giveaway. 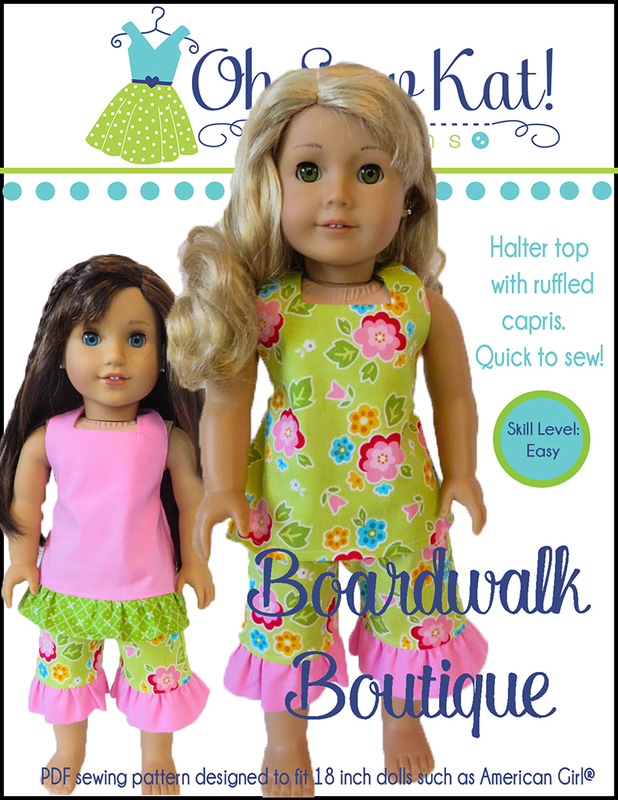 Head on over to see her cute doll fashions (Popsicle Top and Sandbox Shorts) and enter to win patterns of your choice FREE! 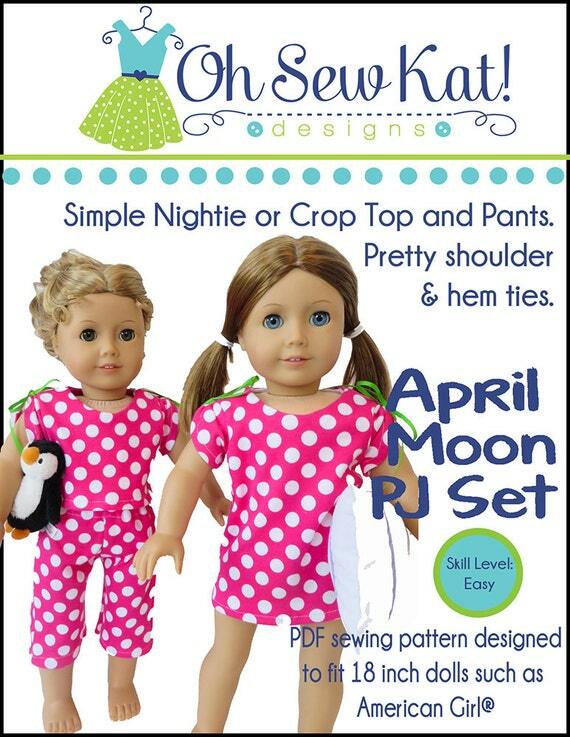 (Patterns to make one outfit will be given away- either a top and bottom, or a dress). 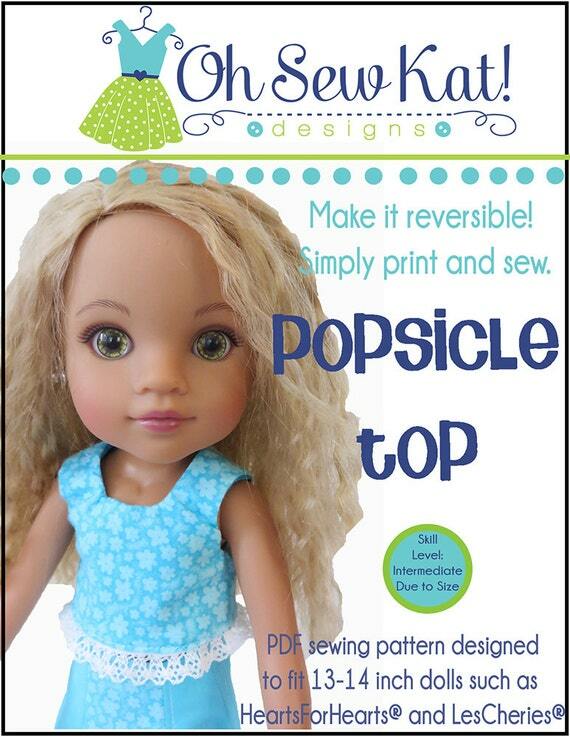 Check out the Inspiration Gallery page to see more ways to stitch up a Popsicle Top and Sandbox Shorts. Click here to see the article and HERE to enter the giveaway. Thanks for the feature, Rachel! 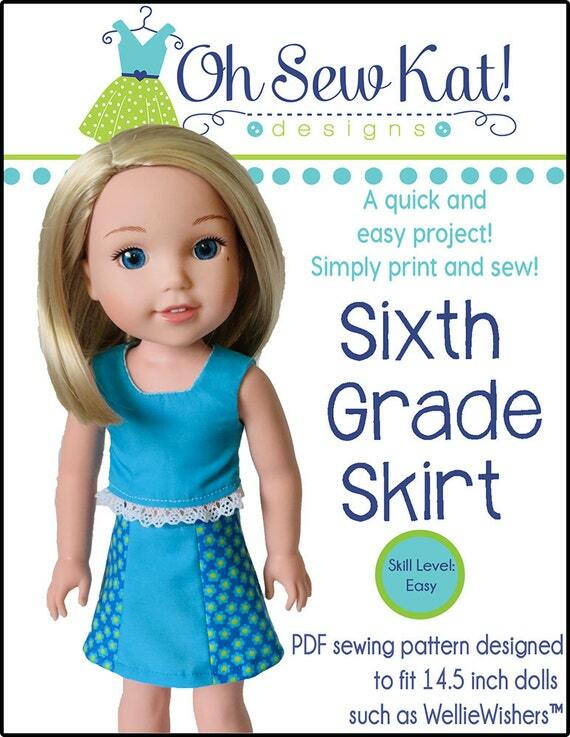 Join my email list to get the free FOUR SEASON SKIRT pattern too.